Most unexpectedly I read 52 books in 2017. These last couple of months I’d been gunning for it but nothing about the first half of this year indicated that I would even hit my challenge of 26 books. The first half of the year was marked by some decidedly slow reading as well as becoming a twin dad. The long and regular naps of young babies along with my parental leave made that a period where I caught up on watching a lot of movies (see the 50 movies in my Letterboxd diary). Then halfway through the year, a shift happened where the kids underwent sleep regressions and we went through figurative hell. Watching video became impossible. The sleepless nights sitting up for 30-45 minutes at a stretch with a baby falling into deep sleep turned out to be a catalyst for reading. 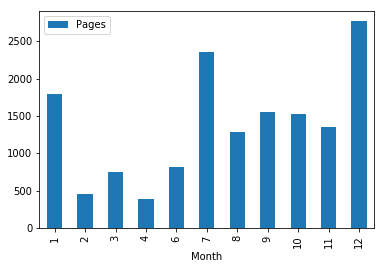 I wanted to see how dramatic this shift was so I retrieved my year’s reading from Goodreads, filled in the page counts and made a bar chart of pages racked up per month. That is indeed more or less where the kids started to become difficult sleepers (month 4-5) where my first peak starts and from there on it’s a steady pace until the end of the year bang. What this has taught me more than anything is how relative reading velocity is and how with a bit of time and a slight change in attitude you can easily read 2-5x more than you normally thought possible. One of my tricks is to read about five books simultaneously and to cycle through those to keep up the energy. For a normal month 1500 pages seems sustainable which would be about five books per month or sixty a year if I’d kept that up from the start. And 1500 pages per month is only 50 a day something that anybody with a bit of dedicated time should be able to do. The books are listed per category below and the recommended ones are marked bold. A meagre year but I feel that in my current engineering practice I know mostly what I want to know and I’m looking more to branch out. I’m still open to reading books about engineering, but the bar is rather high since both of the UX books below did not add much to my knowledge. Alexander’s Notes… is seminal and should be a required exercise for anybody designing anything. This has been one area where I branched out and tore through a decent stack of standard works. I’ve enjoyed most of the things I read here a lot. Some books did not teach me that much as much as reinforce and recontextualize things that I already knew. It’s nice to be confirmed about things you found out yourself, but let’s hope my reading prevents me from making as many mistakes as well. Jocko Willink’s Extreme Ownership is simple but extremely (!) effective. Reinertsen’s is a seminal tome that formalizes a lot of (what I think to be) common sense when it comes to product development and project management. Never split the Difference is a thrilling read and I’m already looking forward to applying the haggling it taught. The Coaching Habit is a laser precision book that teaches you exactly what you need to know and when/how to apply it. More books should do that. Seven out of nine (78%) of these authors are non-white/non-male and that is a worse score than I was hoping for. Toer’s book on life in the Dutch East Indies should be essential reading for all Dutch people. Nelson has shown me parenting from a non-cis/-male perspective and for that I’m grateful. Five out of nine (56%) books here are by non-white/non-males which is somewhat better than one could hope for in speculative fiction. Blue Mars was a lovely end to a huge journey and both the trilogy and the planet did grow on me. The second Inheritance book was the best of the lot which does not mean the series is bad in any way. Not that much outstanding here other than Scott’s book about Zomia. Reading a lot of the other books here felt like work even if they were short. Kids’ books are terrible and Karp’s book on kids was one of the few I read that wasn’t totally useless. 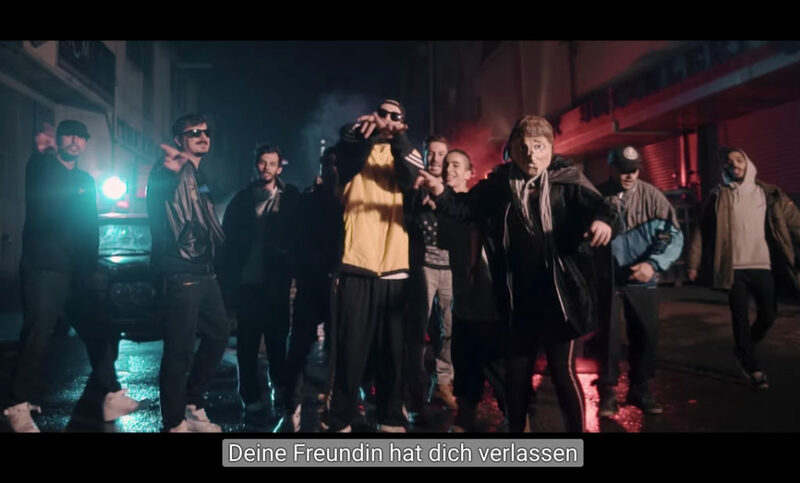 Was machst du kleiner Bagger? A very slim year with Darwish the sole representant of this category, lovely but overly long in this selection. Trungpa’s style is highly accessible while maintaining a lot of jargon. This is one of the first times things have clicked for me. Boeing’s executives expect their managers to know this information, in real time, if the company is to remain profitable. Managers need good information about costs to set prices, determine how much of a good or service to deliver, and to manage costs in ways that make their organization more likely to achieve its mission. Public financial resources are finite, scarce, and becoming scarcer. CVP is a powerful tool that can directly illuminate many important management decisions. For most public organizations personnel costs are the largest and most visible budget inputs. That’s why effective budgeting for public organizations starts, and often ends, with careful attention to budgeting for personnel. Public managers must know what portion of the costs for which they’re responsible are fixed, variable, and step-fixed. They must also understand how different cost items connect to service delivery outputs, and how their cost center is assigned indirect costs. And perhaps most important, they must understand how their program’s cost structure and cost behavior will change under different performance scenarios. For instance, for organizations with mostly fixed costs one of the best approaches to manage costs and bolster profitability is to “scale up.” Since fixed costs are fixed, one way to manage them is to spread them across the largest possible volume of service. However, for organizations with mostly variable costs, scaling up will simply increase variable costs. The better approach in that circumstance is to invest in new technology, procurement processes, or other strategies that can drive down variable costs. The best we can do is understand these trends, forecast them to the best of our ability, and help policymakers understand the trade-offs these trends put in play. But fundamentally, budgeting is a form of politics. Resources are scarce, and budgeting is the process by which organizations allocate those scarce resources. As such, budgeting is about managing conflict. For budget policymakers, conflict and compromise is often around that annual percentage change, or increment. This assumes, of course, that last year’s budget – or base budget – was a fair representation of the organization’s goals and priorities. If this is not true, then debating incremental change will only amplify that disconnect between resources and priorities. In fact, for most public organizations, that disconnect is persistent and pervasive. Legislators and board members are generally willing to appropriate small amounts of money to try “innovative” approaches. With time, many of those small experiments morph into large-scale programs.